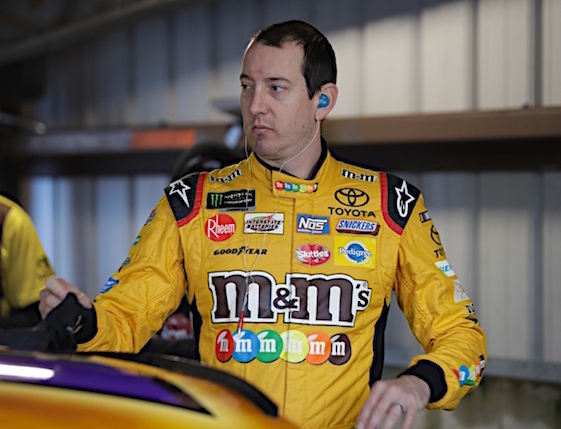 MARTINSVILLE, Va. – Martinsville Speedway’s First Data 500 kicks off the round of eight in NASCAR’s Monster Energy Cup Series and with Stewart-Haas racing possessing half of the contenders, the playoffs have taken on a different look than many expected. Already eliminated from the post-season are seven-time NASCAR champion Jimmie Johnson, Brad Keselowski, who gave Team Penske its first Cup championship, and Denny Hamlin, who has won at least one race in 12 consecutive seasons. The drivers considered the big three this year – Kyle Bush, Kevin Harvick and Martin Truex Jr. – remain, but the other five could provide an interesting scenario to determine the final four for Homestead. SHR driver Aric Almirola is in his first playoff situation, advancing to the round of eight thanks to a victory at Talladega. Chase Elliott, Hendrick’s only driver remaining in title contention, has won two of the last three races, but stumbled in Martinsville qualifying with the 21st fastest speed. Still, he’s the only title contender who has won twice in the playoffs. Busch is the only driver of the big three who has won in the post-season. That means SHR drivers Harvick, Kurt Busch and Clint Bowyer, Team Penske’s Joey Logano and Furniture Row’s Truex haven’t won a race since mid-August when Kurt Busch was victorious at Bristol. Still, Kyle Busch and Harvick each have seven victories this season, five and 16 stage wins, respectively, and 55 and 54 playoff points, respectively, making them first and second in the standings. If a playoff driver wins Sunday, that team can relax at Texas and Phoenix, knowing it definitely has a position in the championship race at Homestead. Bowyer believes the tough short track provides him with his best opportunity to claim a victory over the next three weeks. However, he quickly noted that just because he won the spring Martinsville race it didn’t mean he would run well at the October event. However, the SHR teams could have a bit of an advantage since all four are still in title contention. All but three of the playoff drivers qualified in the top 10 Saturday afternoon. Bowyer’s SHR teammates joining him in the top 10 are Almirola (fifth) and Kurt Busch (seventh). Harvick is the only SHR driver starting outside the top 10. He qualified 13th. The starting positions for other drivers in the playoffs are Truex, sixth, and Logano, 11th. The First Data 500 is scheduled to begin at 2:30 p.m. Sunday.